Today’s current state of the automotive industry is vast and rife with diversity, to say the least. Looking down the spectrum of how the automotive world constructed, you will find Volvo ever-so-slowly merging into the luxury landscapes, which isn’t a bad thing. Vehicles like the redesigned XC60 that I spent a week driving is a valid attempt to win over luxury buyers who have always had the Volvo brand in their peripherals but can now latch onto their surprising luxury theme injected into a retained Swedish character. 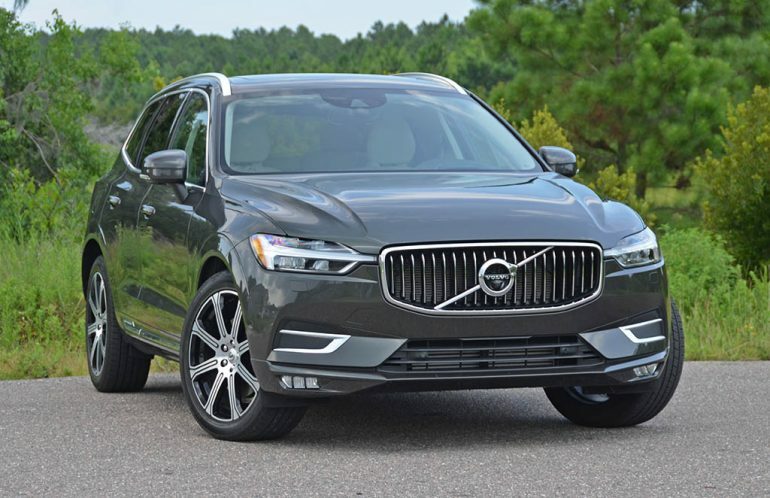 As a hot-selling crossover across the globe, the Volvo XC60 captures most of where the Volvo brand is headed from its well-deserved recognition and the proper goods to backup accolades like the 2018 North American Utility of The Year award. 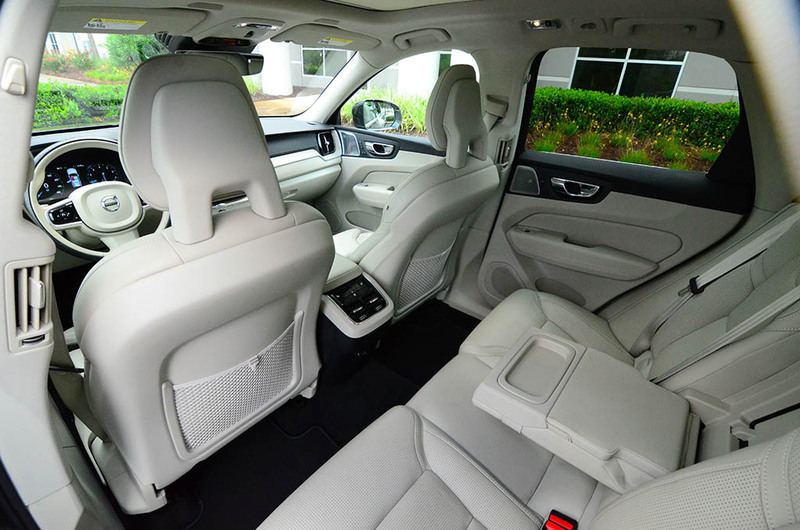 After spending some quality time, I am left intrigued by the new Volvo XC60 and all that it has to offer in its Inscription trim and well-to-do supercharged and turbocharged powertrain. 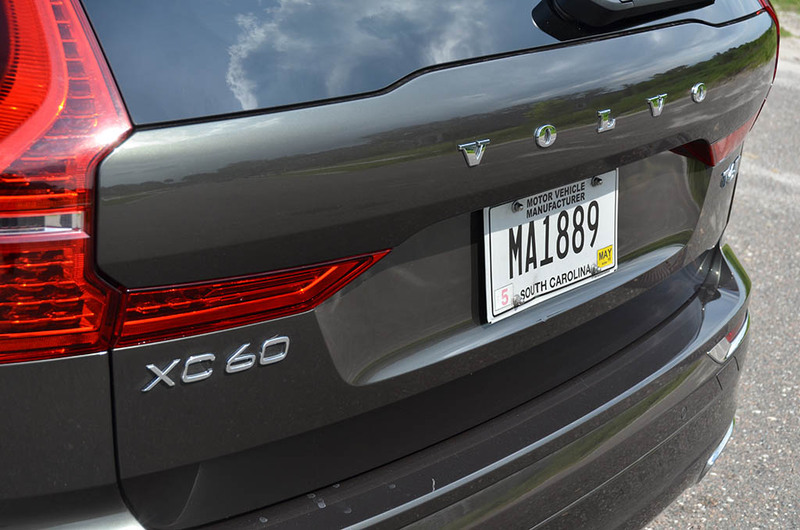 Powering the Volvo XC60 Inscription is the brand’s turbo and supercharged inline 4-cylinder engine touting a healthy 316 horsepower and 295 ft-lbs of torque. 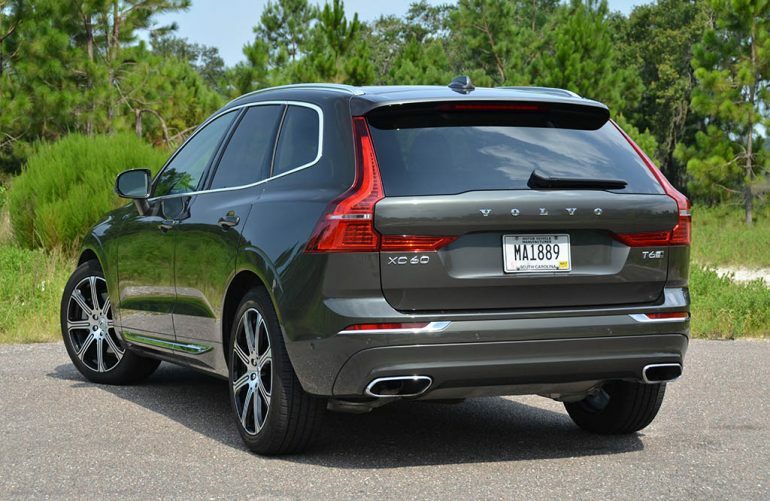 The amply force-fed engine sends power through an 8-speed automatic transmission and then to all four wheels (all XC60s are all-wheel-drive). 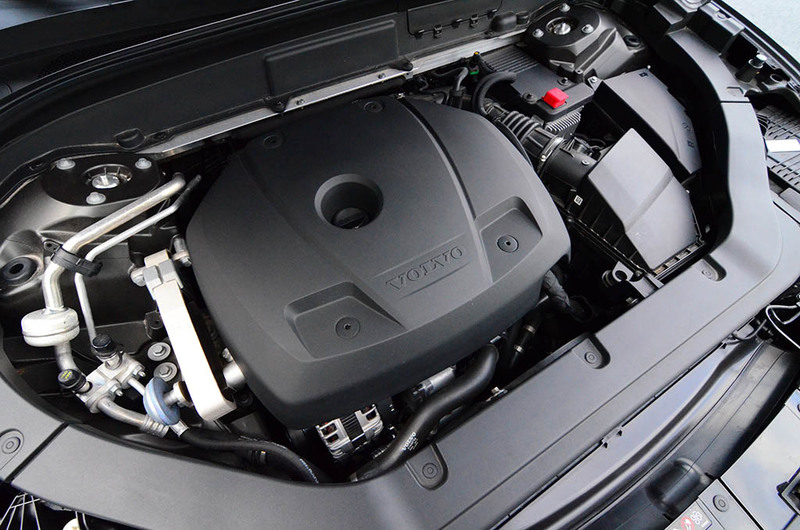 The powertrain is chock full of power all throughout the rpm range, even so much as the engine doesn’t lose any momentum as it inches to its redline. 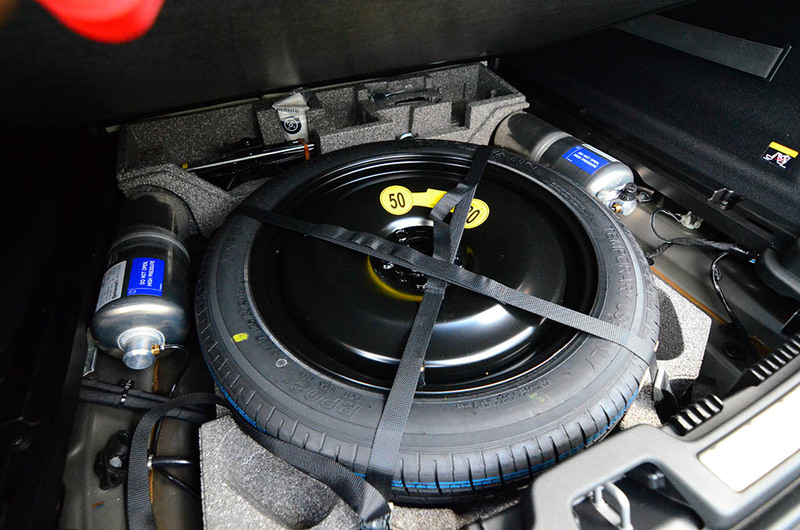 Much of the unique method of power delivery is due to the 4-cylinder engine being turbocharged and supercharged, virtually extracting the best of both worlds throughout the rev range, which takes advantage of the nearly instantaneous thrust of the supercharger and carries on with the build of boost from the turbocharger. The engine is a gem and is only somewhat hampered by seldom slow shifts of the 8-speed automatic transmission. Otherwise, the Volvo XC60 is fit to have decent performance on the road, enough to get up to 60 mph in about 6.8 seconds. 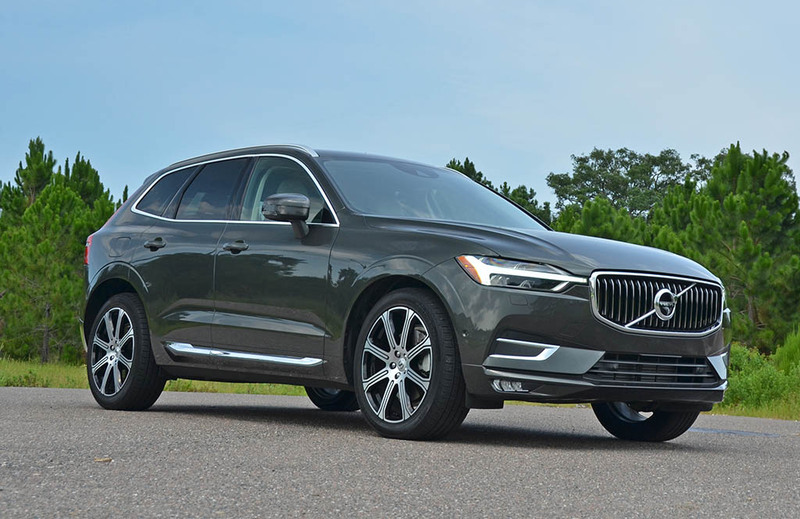 While the performance numbers of the new XC60 aren’t going to shock and awe, most of Volvo’s compact luxury SUV abilities shine brightly in real-world situations, like overtaking vehicles or jumping onto highways from exit ramps. 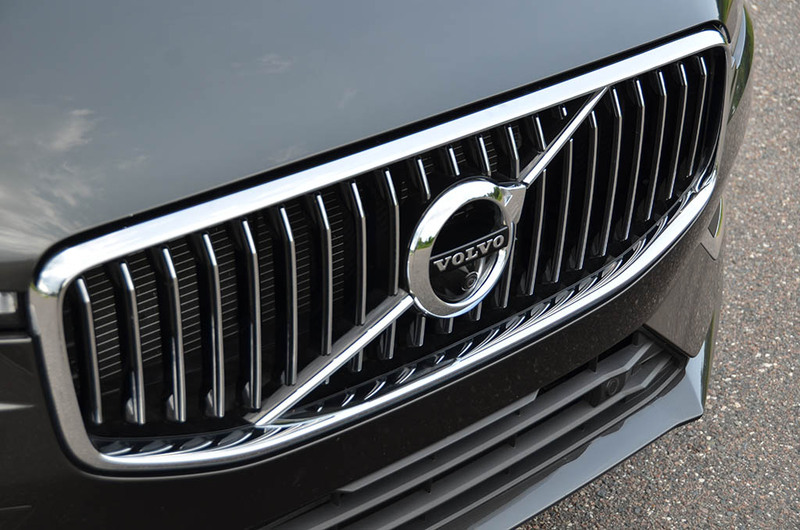 In choosing such a unique engine, the Volvo XC60 remains somewhat efficient, or at least consistent in its fuel consumption with an EPA estimated 27 mpg on the highway. I observed about 24.5 mpg in my mixed driving and was able to muster 27.4 mpg on the highway. The city EPA estimate is 20 mpg and combined is 23 mpg. The new Volvo XC60 handles well and fundamentally adapts to your driving mostly by the way of the selectable drive modes, a total of 4 in all (Eco, Comfort, Off-Road, Dynamic, and Individual). 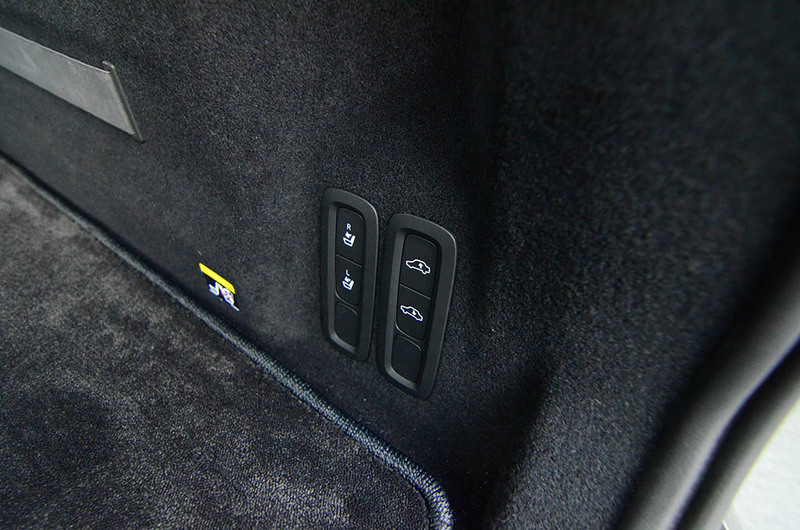 The optional air suspension system coupled with adaptive dampers react to the drive modes where Eco and Comfort have a “normal” ride height and soft damper setting. 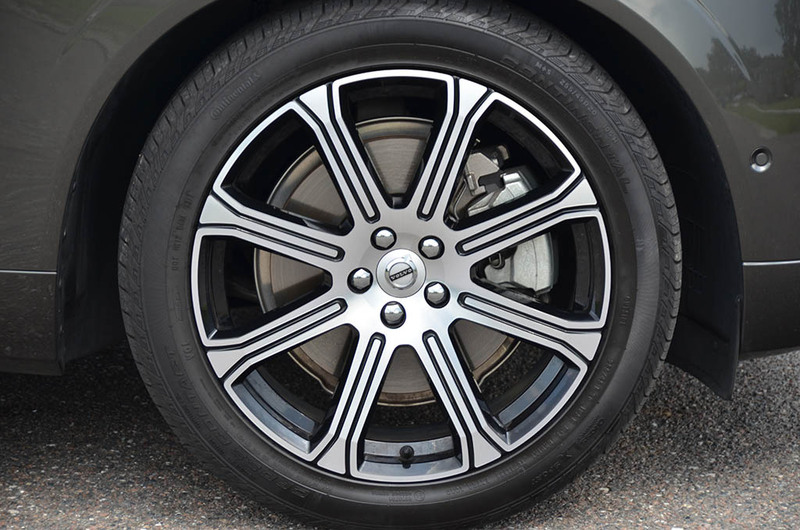 Off-Road mode enacts the air suspension to raise the vehicle by as much as 2-inches from its normal height while the Dynamic mode lowers the vehicle and tightens up the dampers. Other parameters are also tailored to each drive mode, such as the steering weightiness, throttle position, and transmission shift points. I found that customizing the Individual drive mode was best to tailor each vehicle parameter to your liking, which includes the ability to disable the efficient but otherwise annoying start-stop system that I found to sometimes be a bit too aggressive. 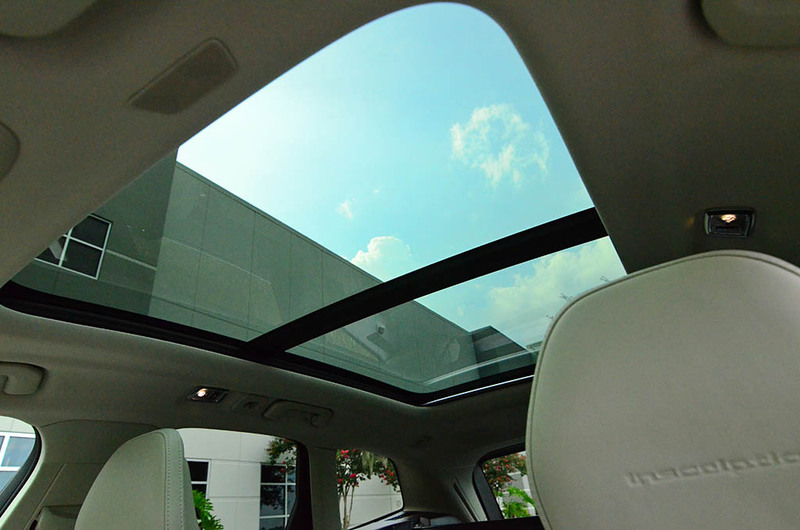 In all, the new Volvo XC60 does well to provide a comfortable ride quality, good stability, and an easy-of-driving characteristic. 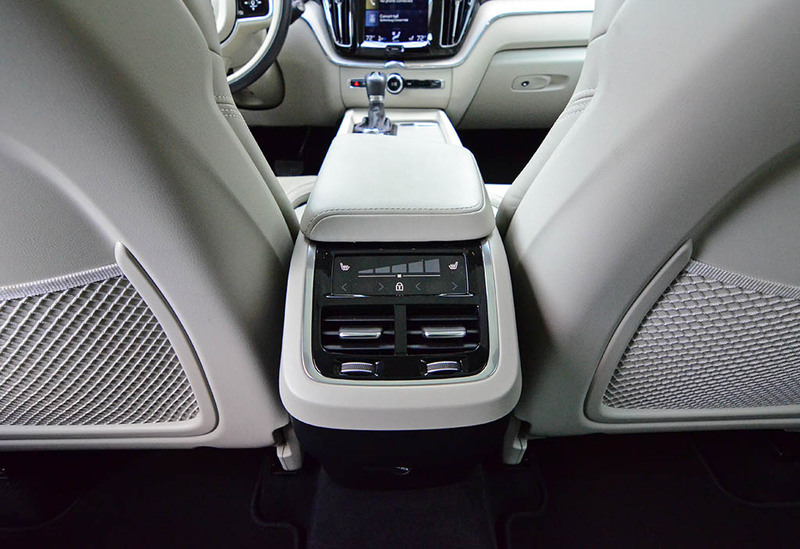 Having a techie feel on the inside is just what new-age buyers seek and it’s what the Volvo XC60 serves up in a luxurious approach without overdoing anything. 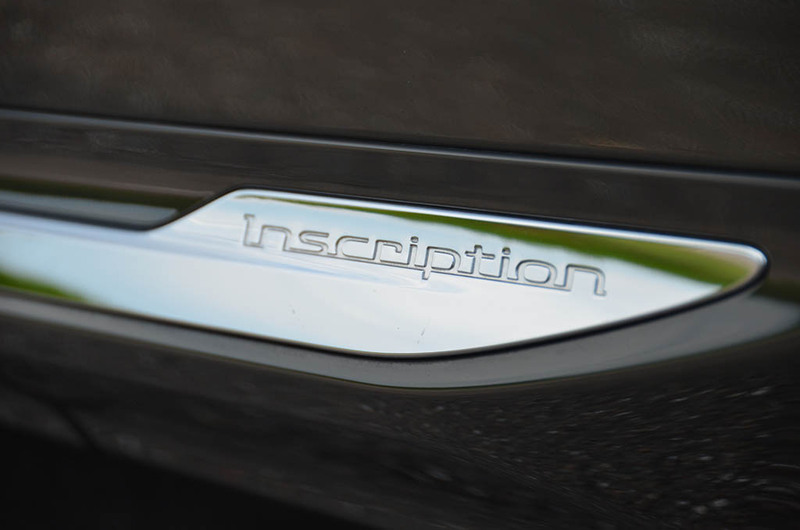 Within the higher-level Inscription trim, the XC60 receives many upgrades and an interior that exudes a delightful taste of luxury with many soft-touch surfaces, nicely done chrome-clad trim pieces, and unique driftwood trim to complete luxurious theme. 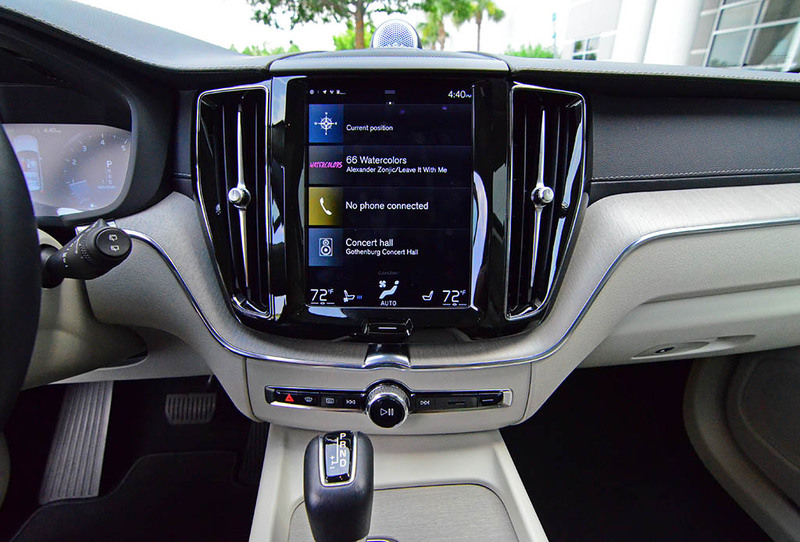 Taking many of its design and control placements from other new Volvo vehicles, the XC60 puts just the right controls where the need to be, including the large 12.3 infotainment touch screen that fundamentally combines a plethora of on-screen vehicle controls. While I don’t mind the multitude of vehicle controls being on-screen, the initial boot or startup time of the system could use some improvement to make the experience better. 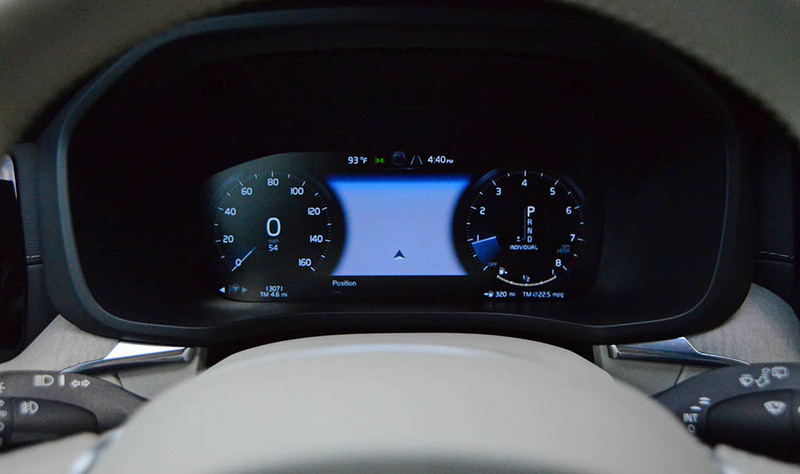 Though, once the system has loaded fully after about a full 45 seconds to a minute after starting the vehicle, the touchscreen is ready to allow the more important adjustments take place, such as the multi-zone climate control temperature or display of the rearview camera with the option of switching to a 360-degree camera. 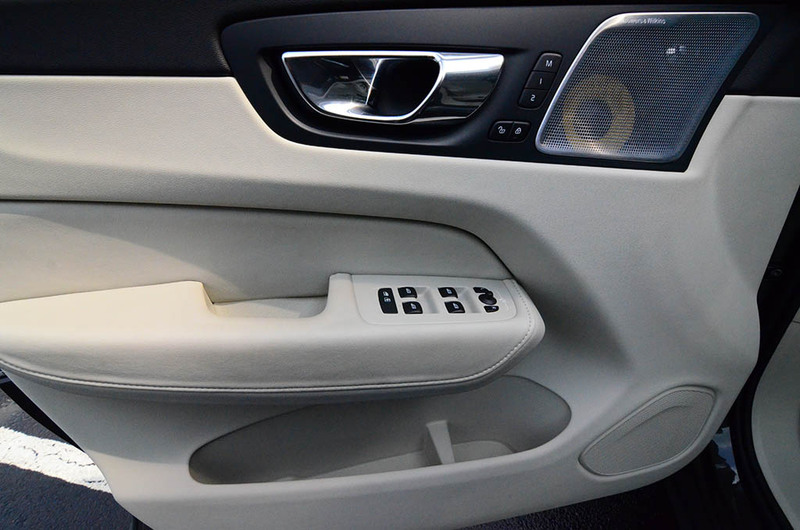 Speaking of the camera, the slow initial load of the infotainment system prevents the camera from displaying when you need to back out of a space quickly upon starting the vehicle. Yet, another aspect that is hindered by the slow load time of the system. 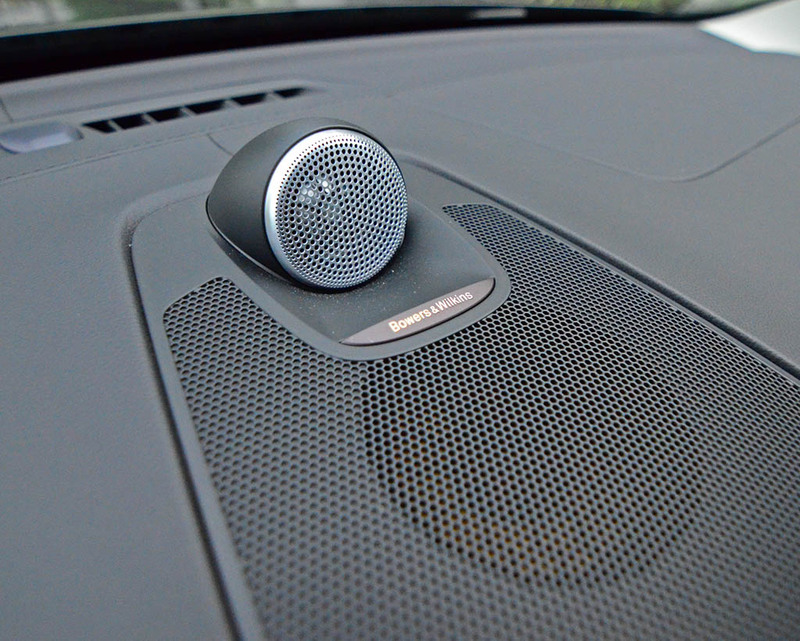 The intricacies of the infotainment system have been well thought through, and once you go through a bit of a learning curve the touch screen is quite user-friendly and exceptionally responsive. 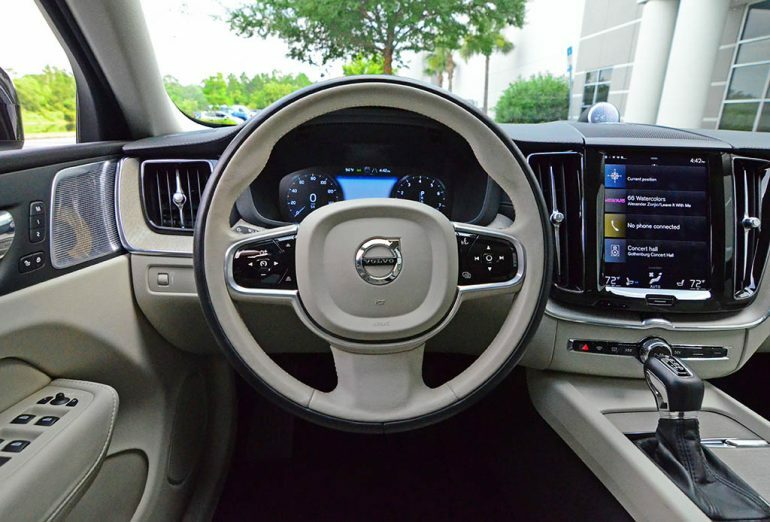 Not to mention, the center screen and the driver’s gauge cluster being an interactive 12.3-inch screen that you can customize to display the navigation screen in the center of two virtual gauges only adds to the luxury appeal of the XC60’s cabin. 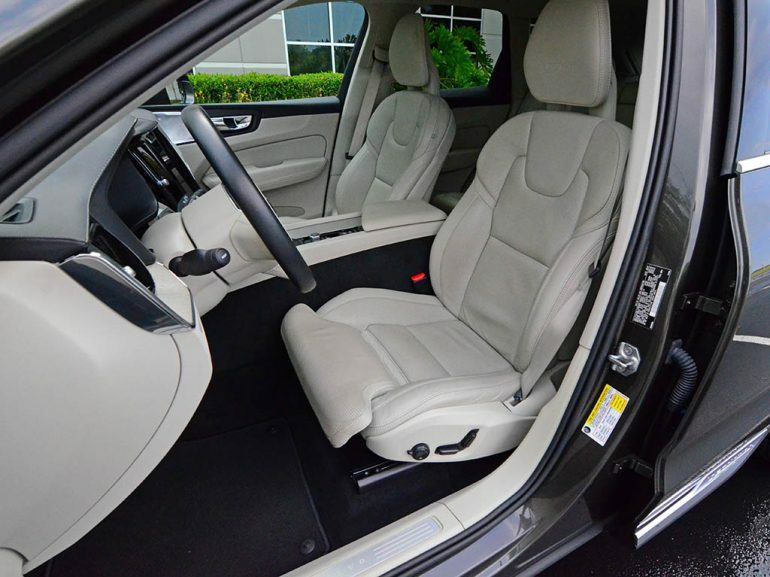 Even the optional massaging and heated/cooled seats that are ergonomically designed to provide ample support prove to be exceptionally comfy and soothing with the lumbar, back, and upper back massaging features. 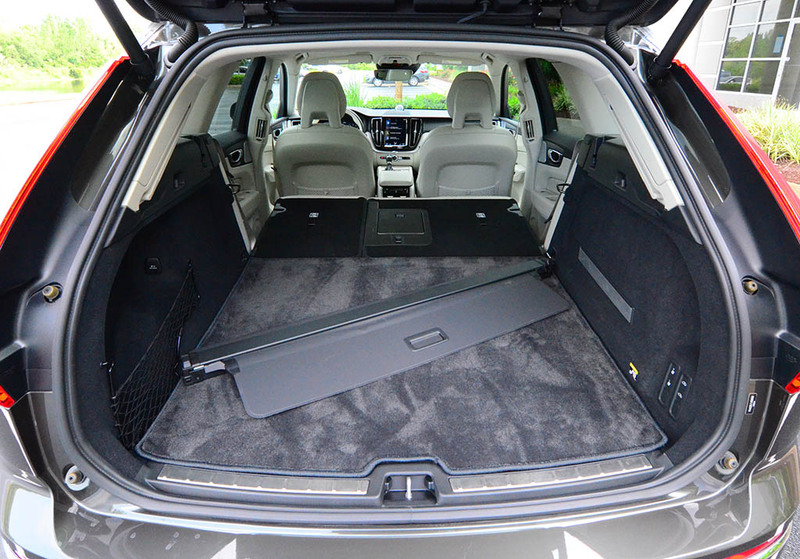 In the rear of the XC60 is a decent amount of space for the vehicle’s overall size. 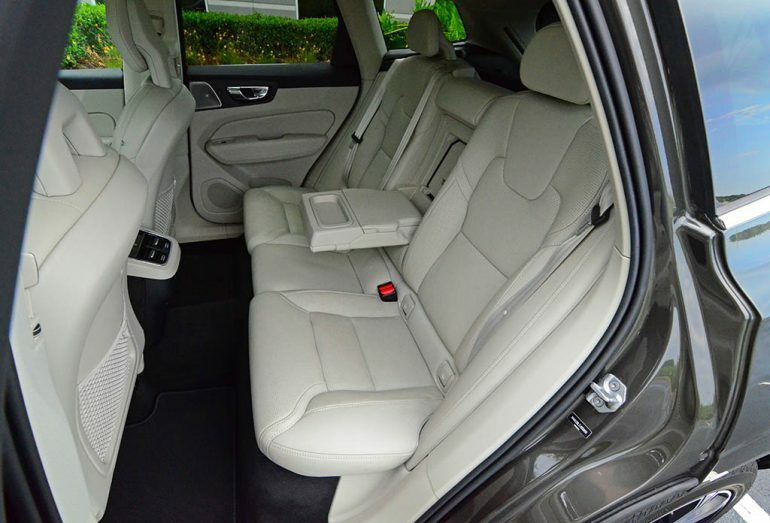 Two adults and one child in the center seat will have no issues finding a comfortable position while there is a decent amount of legroom and headroom for folks who may inch close to 6-feet tall. Out back, the 18 cubic feet of cargo volume is easily accessed by a power liftgate. Folding the rear 60/40-split seat backs opens up the cargo capacity to a respectable 63.3 cubic feet. 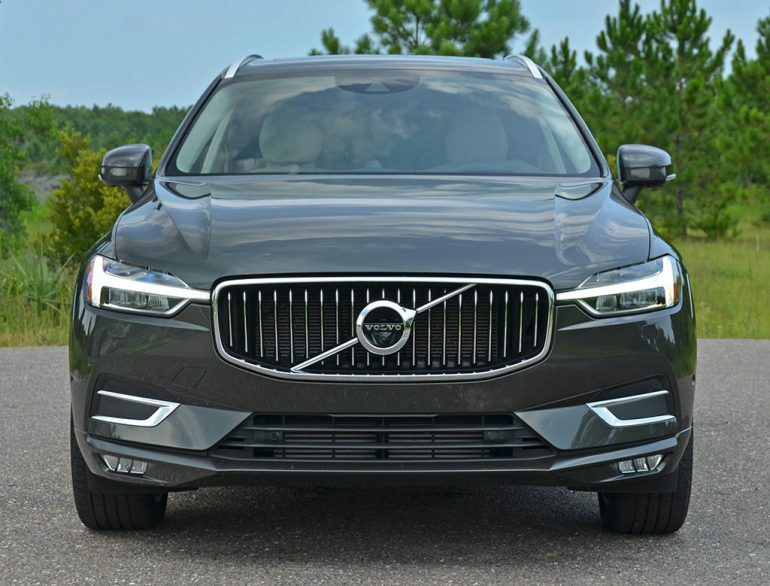 The pleasing-to-the-eye design of the Volvo XC60 completes the total package being one of the best-looking vehicles for its class that you will find on the road. 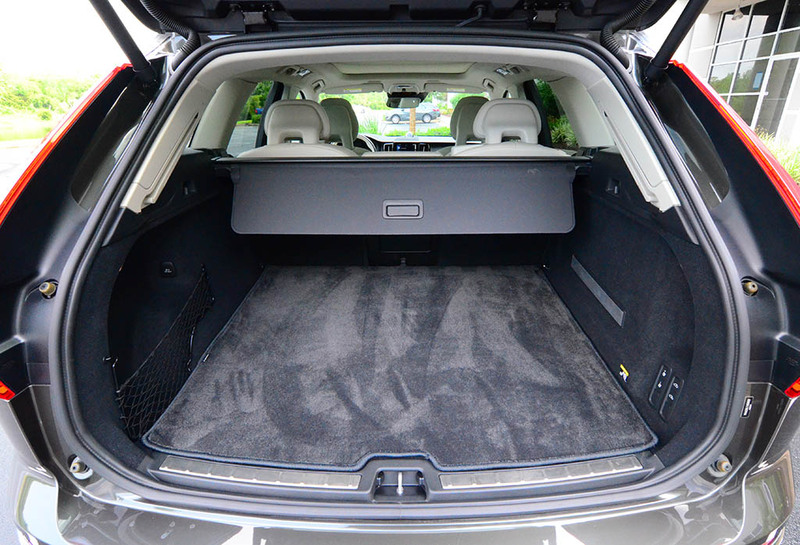 Despite it being one of the very few vehicles built in China and imported to the USA, the XC60 appears to be solid in its build quality initially. Though, it’s hard to say how time will age the good-looking vehicles that can look menacing yet tamed depending on what angle you glace. 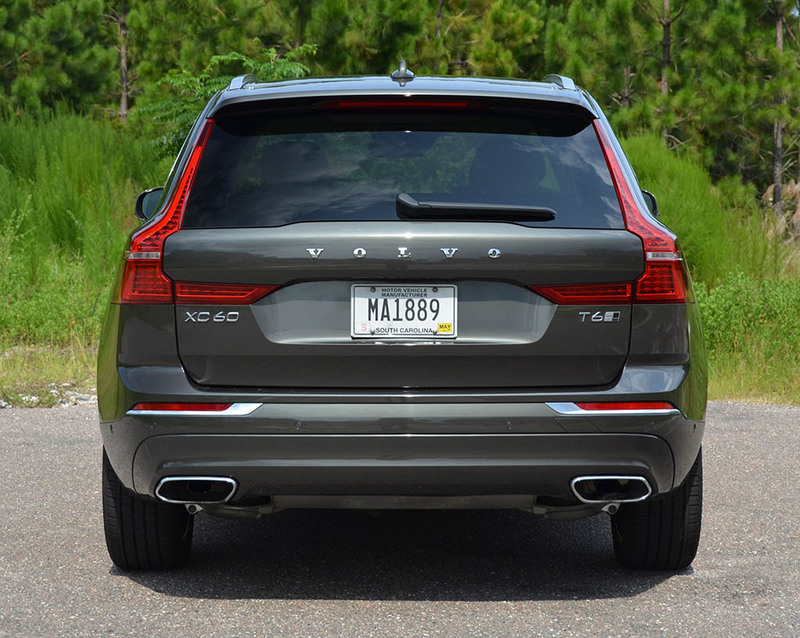 From the front LED-lit Thor’s hammer headlights to the rear high-mounted LED tail lights, the XC60 is deserving of a good close look breaking the norm of vanilla luxury crossovers found in American suburbia. 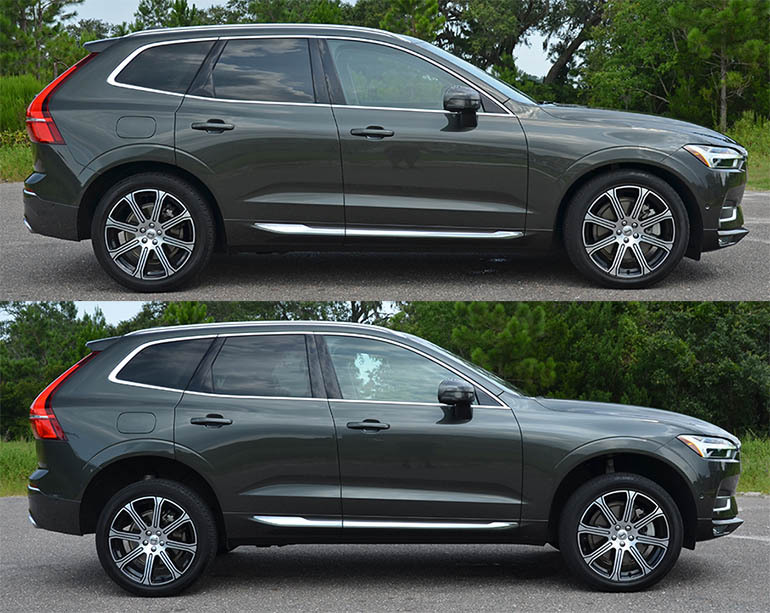 The new 2018 Volvo XC60 T5 (250 horsepower) starts at a price of $41,500 for the base Momentum trim and gets to $63,290 for my nicely-equipped XC60 T6 Inscription test vehicle. 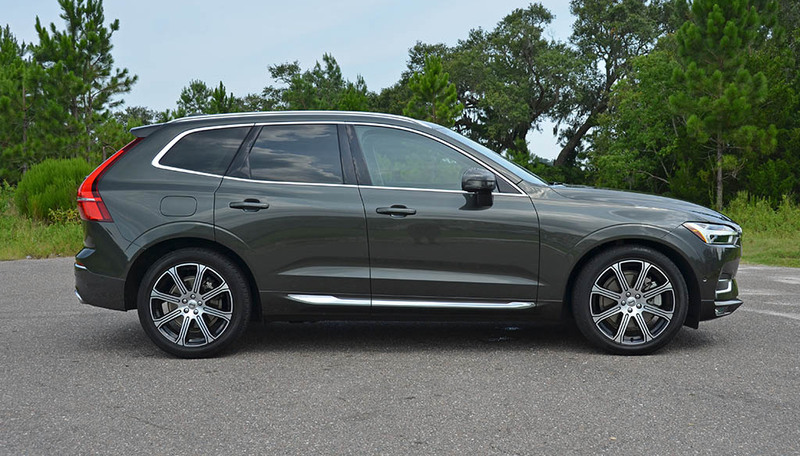 Mind you, there is also the availability of the XC60 T8 eAWD Plug-in Hybrid , which starts at a price of $56,700 and features 400 horsepower and 472 lb-ft of torque from its hybrid powertrain and gets an estimated 28 mpg on the highway.